CDS Tractor Trailer Training provides CDL training for several community colleges throughout Virginia. No matter where you are located, we are certain to have a truck driver training program near you. Look below to learn more about the CDL training provided at these schools. CDS Tractor Trailer Training provides the CDL Training for the Eastern Shore Community College. CDS Fredericksburg conducts one travel program per year for ESCC. This means CDS will train on-site at the Eastern Shore Community College and will bring their equipment to the Shore. This allows for students to train at their own school and utilize CDS trucks for training and DMV testing. Germanna Community College is conveniently located only ten minutes away from the CDS Fredericksburg Training Center. Students will be able to train at the CDS location for both classroom and driver training. Students can choose from their Class A CDL training or Class B CDL training or Passenger Bus training. Classes begin every other week for full-time and monthly for part-time weekends. CDS Tractor Trailer Training’s Richmond Training Center is conveniently located on the campus of John Tyler Community College. Students from both the Reynolds Community College and the John Tyler Community College can train at this location. Class A CDL training is provided every other week for full-time and monthly for part-time weekends. The CDS Winchester Training Center is located at the Lord Fairfax Community College in Middletown, Virginia for the classroom and office and in Front Royal, VA for range and road training. New Class A CDL training programs begin every other Monday for full-time and once a month for part-time Saturday/Sunday programs. CDS Roanoke provides CDL Training for New River Community College. Students will travel from the New River campus to the CDS Roanoke Training Center for both classroom and driving instruction. Classes begin every other week for full-time and monthly for part-time weekends. CDS Tractor Trailer Training provides four travel programs a year for Rappahannock Community College. 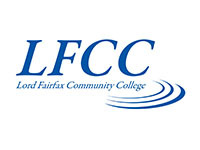 These travel programs mean that CDS instructors from the Fredericksburg Training Center will go to the Rappahannock Community College and provide Class A CDL training. Students will have both classroom instruction as well as having the opportunity to drive and train in CDS trucks in their local area. Virginia Western Community College has CDS Tractor Trailer Training providing the CDL Training for them in Roanoke, VA. The classroom instruction for the Roanoke Training Center is held at Virginia Western Community College while behind-the-wheel training is located at the CDS Training Center in Roanoke a few miles away. The Roanoke Training Center provides Class A CDL training beginning every other Monday for full-time and monthly for part-time weekend training. By clicking above, I consent to receive telephone calls and text messages from CDS Tractor Trailer Training. Containing information a the number above about their programs. I understand that the calls and messages may be initiated with automated equipment and that I am not required to provide this consent to be eligible to enroll.